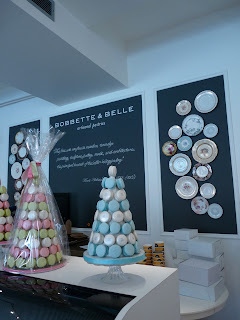 A friend of mine recently asked me if I had heard of this new bakery place in Leslieville called Bobbette & Belle. 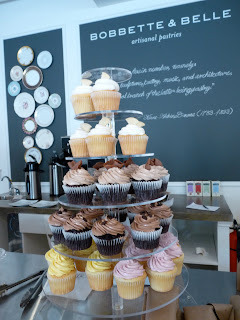 I hadn't heard of it but within two minutes of devouring the website, I was dying to go! 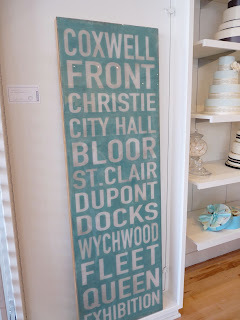 I could barley wait until Saturday came to go on an adventure to Leslieville to seek out this shop! 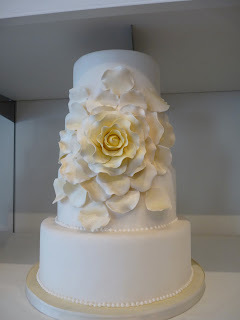 Bobbette & Belle is an artisinal pastries shop specializing in fabulous cakes and macaroons. Not only is it a shop to make these cakes, but to design them as well. 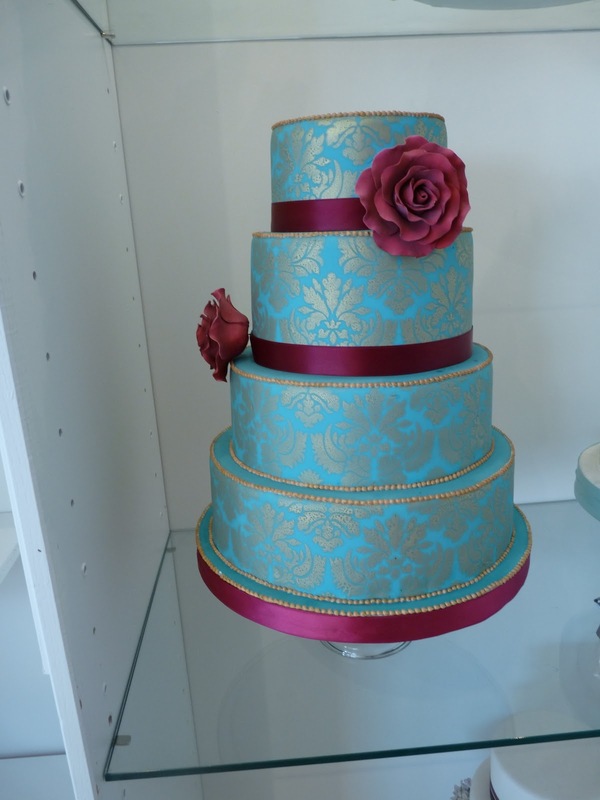 The cakes featured below are some of the prettiest I have ever seen - who doesn't want a wedding after looking at the possibilties that these girls can give you! The shop is beyond cool, with a lounge area for cake&macaroon clients to wait to talk to the girls about what they want, and also a table area to talk business. The front station at the window is a cake makign station and a neat idea to have part of the food creating area front and center. 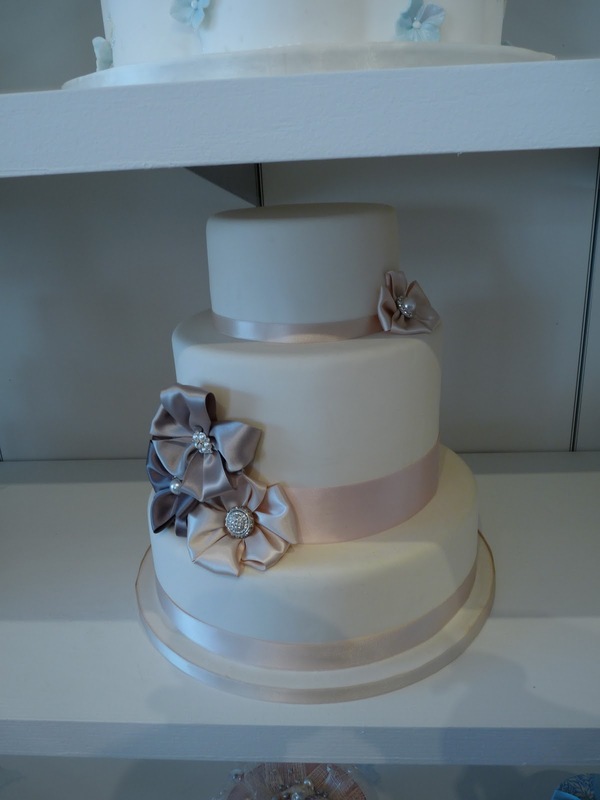 The decor is flirty, simple, elegent and pastel-themed. Old china plates, interesting picture frames that house wooden spoons and spatulas line the walls, and the seating feels like you are at an old fashioned tea salon! Very girlie and very fun. If you are looking to try out a delicious macaroon, find a wedding cake or a macaroon tower, Bobbette & Belle is the spot for you! 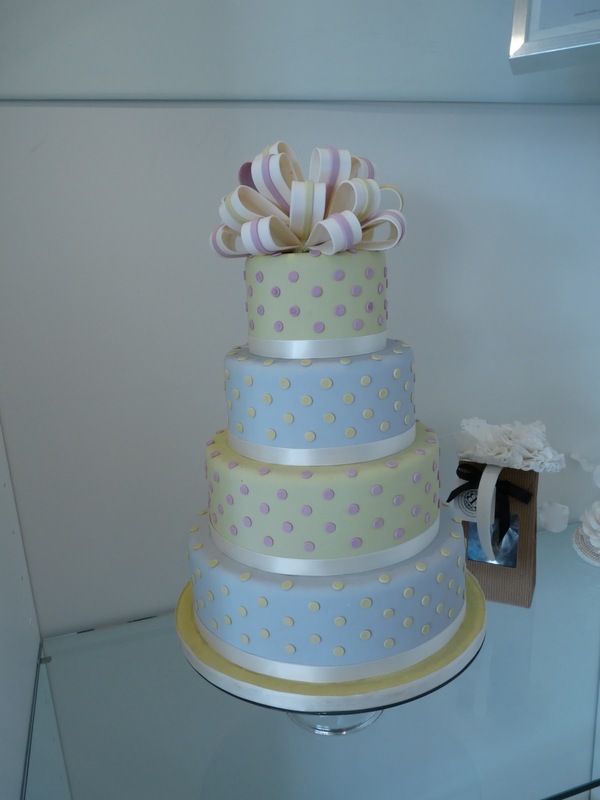 They will customize the macaroon colour for your event and you can even order these macaroon towers - a great addition to a sweets table at a wedding, special event or even they suggest as an alternative to a traditional wedding cake. 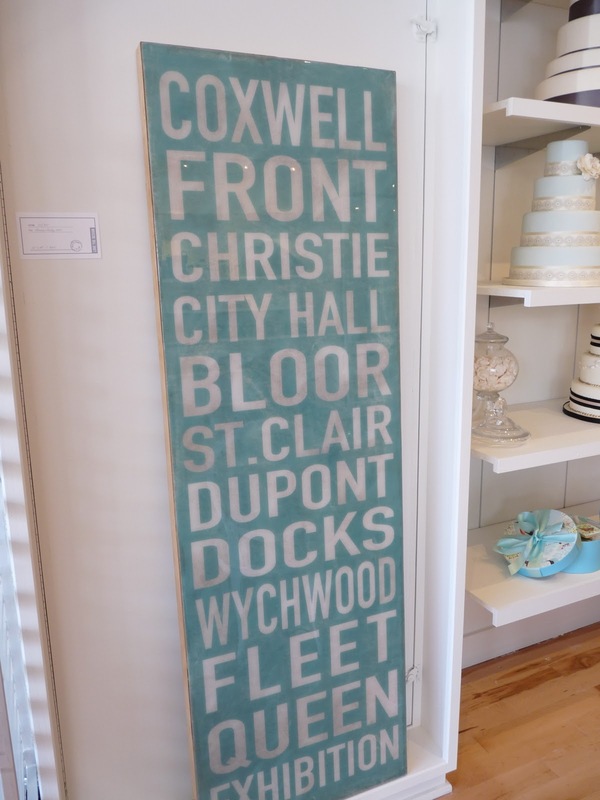 If you are heading to Leslieville, this is a must visit spot!